So I decided i would share with you my hair care routine because it ties in with the tutorials I've been showing you! So things like my shampoo and conditioner, heat protecter, hair spray, anti frizz,dry shampoo and Moroccan oil, that I think are amazing and work for me! 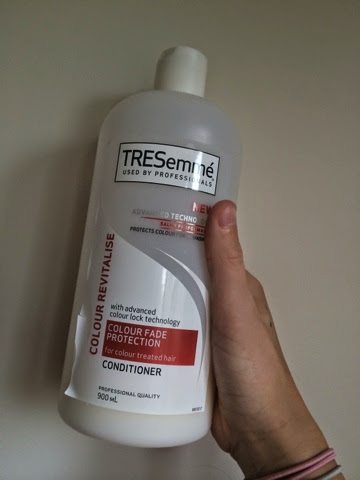 So obviously the first thing I use is my shampoo and conditioner and I love the tresemmé products because I believe they work wonders in my hair! 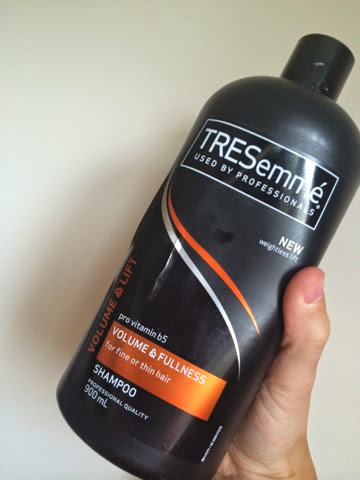 So I use the tresemmé volume and fullness pro vitamin b5. This shampoo says it works for thin/fine hair but mine is thickish but fine if that makes sense!? So I find this really works for me! 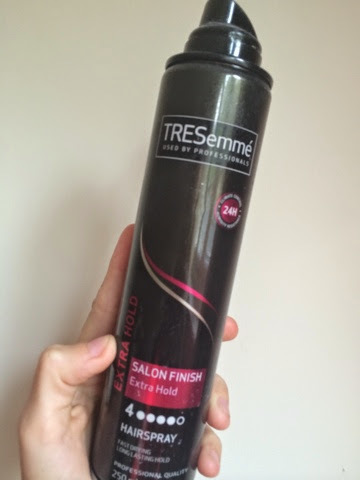 Next is conditioner and to go with the shampoo it is tresemmé, and it is the colour fade protection, because a while back I had blonde highlights put through my hair and well this keeps them fresh and stops my hair going dry! I also think it makes the rest of my hair seem blonder as well but that's probably just me! 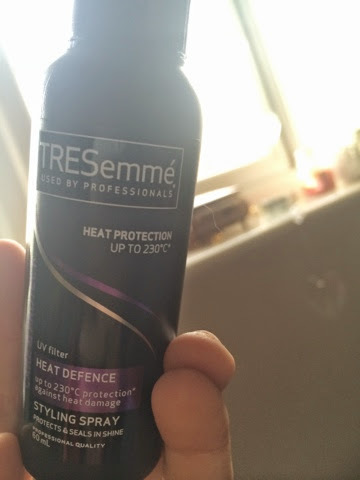 My heat protecter spray is also from tresemmé and I know there is an occurrence here but after this is the last product but that's because it is so good and works! The spray protects up to 230•... There is no degrees button they need one..and really works and helps to keep my hair lovely and non-burnt! I spray this in wet hair and blow dry! Mine is the travel bottle because I've been on holiday and take a small one! 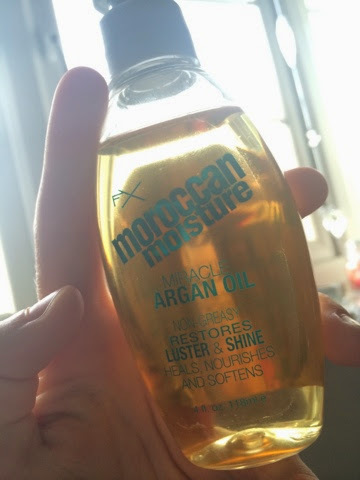 Next it Moroccan oil, and this as well is soooooo good, because it does as it says on the tin! "Restores ulster and shine, heals, nourishes and softens!" I use this once a week normally on Sunday so it's fresh for the week and all you do is leave it in and let it work it's magic! Now onto hairspray.. And you'll be pleased to know.... It's my final tresemmé product! It is the salon finish extra hold, because my hair is naturally crazy and curly! So when I straighten my hair this helps keep it from going bonkers basically! This then leads me into my next product by bed head and it's the bed head t.i.g.i, and I run it through my hair once it is straightened and it keeps it lovely and soft and non-frizzy! My mum bought this product from her hairdressers and ever since then we have loved it because it's just amazing... Including the fact the cream is baby pink!!!! 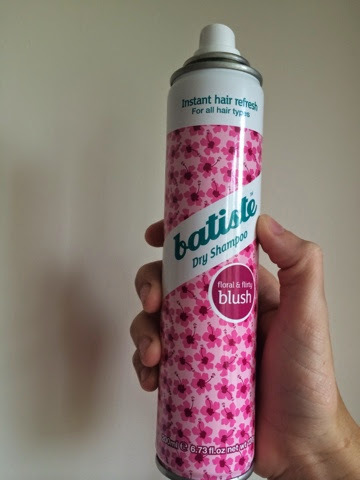 Finally is my dry shampoo, it is the batiste dry shampoo in the scent floral and flirty blush, and my mum is obsessed with the smell, because she thinks it makes her hair smell amazing and it does! But remember to spray from 30cm away because otherwise it with leave your hair white for the day! I hope this may of helped you in some way or not and like me you are nosy at what other people use! But I highly recommended these products! Below I have left the best places to buy these at the cheapest price for you! 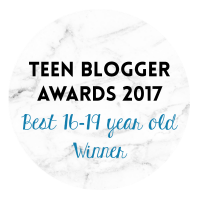 Hope you liked this post! 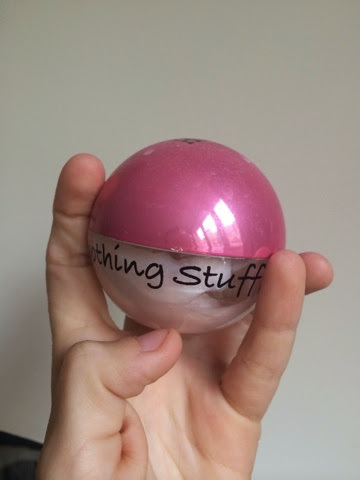 P.s- let me know if you want me to do more review sort of things in certain products or just in general!